Heartland Alliance believes society is better for everyone when all can participate, prosper, and reach their full potential. And as a community health organization, we are dedicated to transforming care for the most vulnerable – particularly people experiencing homelessness, mental illness, substance use issues or struggling with multiple chronic illnesses – improving health for all and for the well-being of our community. Our healthcare work in Englewood began 20 years ago, when we opened up our South Side Vital Bridges food pantry for those living with HIV/AIDs. 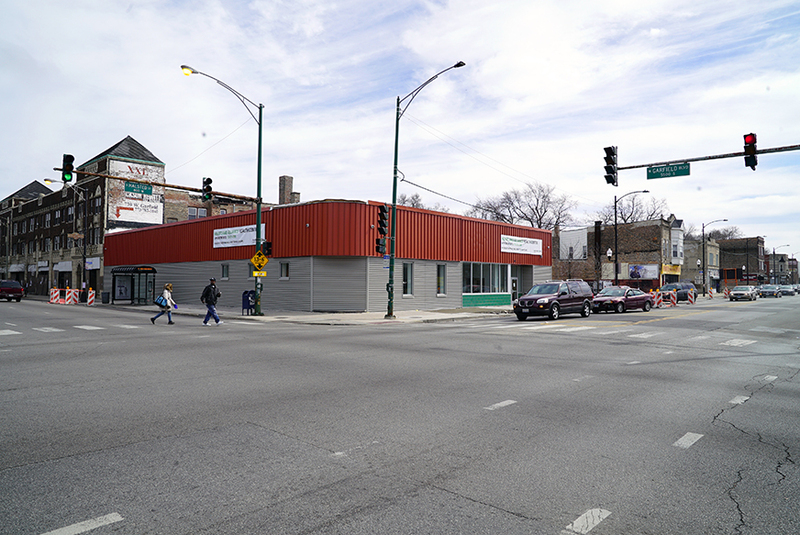 In 2016, we began expanding services and developed a “pop-up” health center and medical outreach team, dedicated to providing on-sight healthcare services to 15 local shelters in Chicago’s south side. “Outreach is probably the most important part of our job. It’s where participant engagement begins, in the space that is comfortable to the person we are trying to serve,” said Sarah Dickson, Heartland Alliance Health Nurse Practitioner. “It’s where people begin to trust, and where they begin to heal.” That very outreach has shown a tremendous need for health services in the community, as the area has a greater incidence rate of heart disease and diabetes, and fewer cancer screenings. In fact, because of the poverty, and the lack of accessible and affordable healthcare, Englewood and the surrounding communities have a lower life expectancy versus the rest of Chicago. There are 58 percent more low-income people in Englewood when compared to Chicago, and they have 16 percent less access to healthcare. Last July, we broke ground on our Englewood Health Center. Englewood is a community that has increased presence of homelessness, with limited access and resources dedicated to healthcare. Over the past nine months, HAH has worked to build a health center that will address many of the health-related issues people in the community often face – including primary medical, substance use treatment, mental health/psychiatry, insurance assistance, medical case management, specialty referral care, and chronic disease management including HIV/AIDS care. But what sets Heartland Alliance Health apart from many other health care organizations is its commitment to trauma-informed, strengths-based philosophy that allows patients to take control of their health goals. “We continuously practice our strengths-based approach by taking into account peoples’ choices and have participants lead us,” said Joan Liautaud, HAH Senior Director of Clinical Operations. Through compassionate practices and a spectrum of mental and behavioral health services, Heartland Alliance Health works to help individuals build lasting, meaningful lives. Our thirty years of experience working with hard to reach populations has developed in us a solid understanding of the need for housing-first policies and harm-reduction practices. And now, Heartland Alliance Health is proud to have the resources to do that at a much larger scale in the heart of Englewood. The 7,900 square foot building is has ten exam rooms, two triage rooms, and a soon-to-be pharmacy. Additionally, the building provides showers and laundry to support people who are homeless or unstably housed. Heartland Alliance Health also provides insurance assistance and counseling. In partnership with different community groups including Teamwork Englewood, R.A.G.E., and Whole Foods Englewood, Heartland Alliance Health has been connecting with community members in an effort to build trust and long-lasting relationship with the people they intend to serve for years to come. We are thrilled to open a permanent solution for those living in the community by opening our third Chicago health center. Be sure to tell friends, family, and neighbors we are ready to serve you! 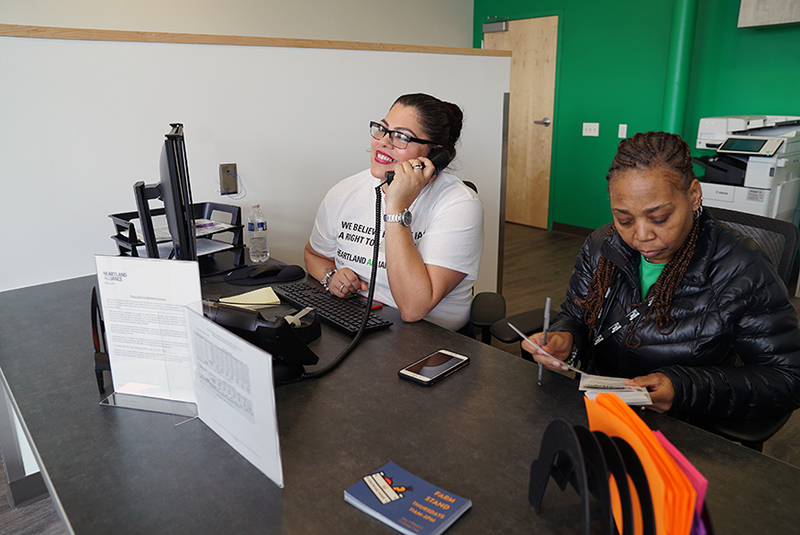 The Heartland Alliance Health Englewood Health Center is open Monday through Friday 8:30 AM- 5:00 PM. Appointments can be made by calling 773-275-2586 and walk-ins are welcome.